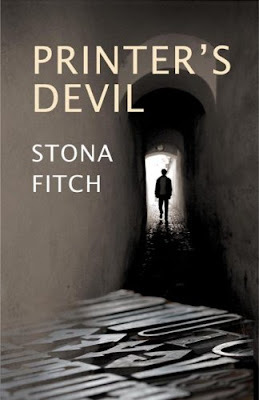 "A wonderfully dark, dystopian tale set in a world where excessive consumerism has lead to an environmental apocalypse". - Doug Johnson, Independent. 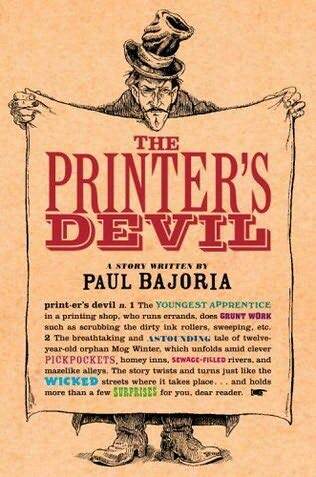 A young adult mystery about an adventurous 12-year-old orphan who's a printer's devil in Dicken's 19th Century London. This book sounds like a great read for young kids, according to all of the positive reviews on Amazon, with colorful references of Victorian print shops full of lead type and printing presses. 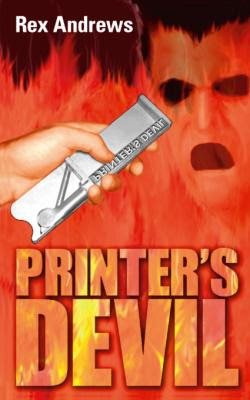 Printer's devil or indentured servant? 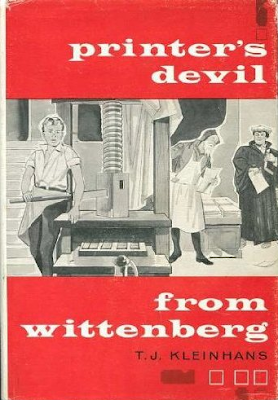 Published in 1962, Augsburg Publishing House. 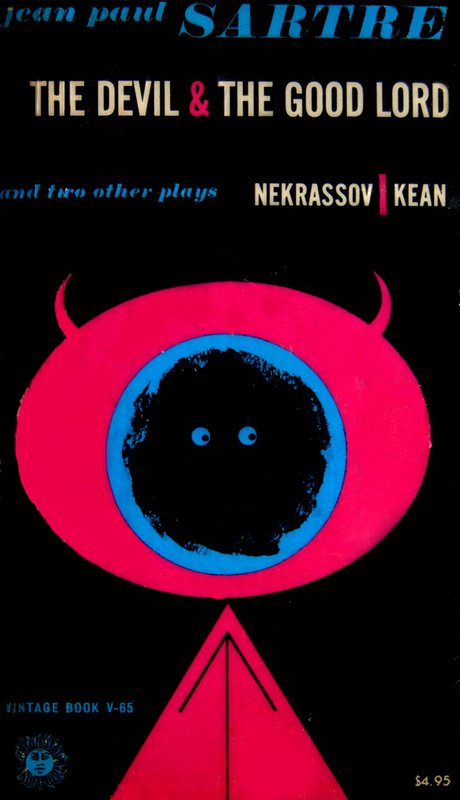 1960 book cover design by Jason Kirby for Vintage Books. From Crossett Library, Bennington College. 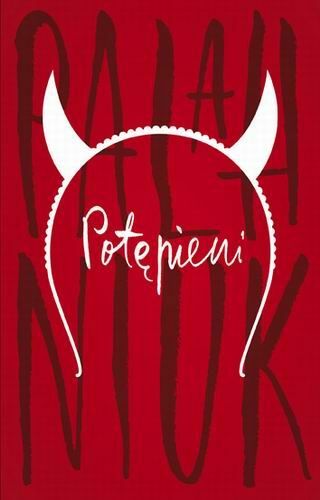 Laurence Rickels takes on the Devil with his sequel to The Vampire Lectures and goes mano a mano with the Prince of Darkness himself. 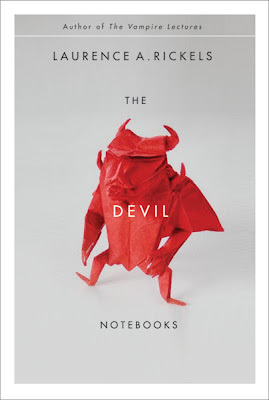 Cover design for The Devil Notebooks, published in 2008, was designed by David Drummond of Salamander Hill Design. Not certain who is responsible for that sinister origami red devil. 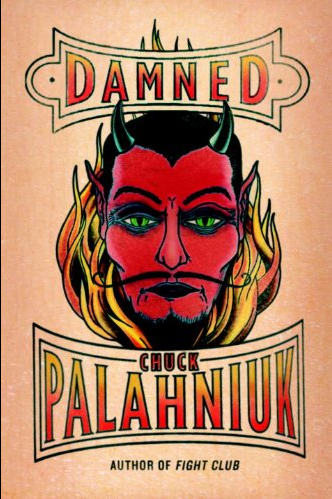 Part 1 of Chuck Palahniuk's recently published trilogy, Damned from Random House, tells the story of a very optimistic, but pushy little 11-year-old girl who finds herself in hell and has to manipulate the corrupt system of demons, according to Palahniuk's website. "Full of tastelessly hilarious gallows humor" - Janet Maslin, New York Times. The great cover design above is by Rodrigo Corral who has designed many Palahniuk books in the past. Below are uncredited cover designs for the Italian and Polish translations of this Damned book. 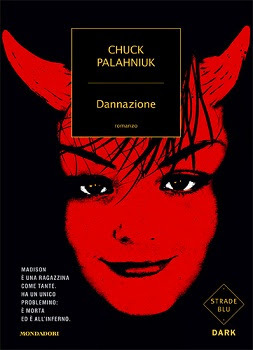 You can get your own Damned book here or here.